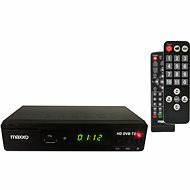 Set-top boxes allow you to receive digital cable, terrestrial and satellite signals. 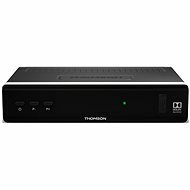 For the reception of DVB-T2 you need to have a television or set-top box that supports this format. Set-top boxes certified for operation in your networks are marked with a gold logo "DVBT-2 certified." 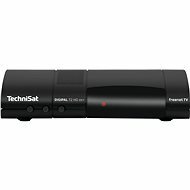 To receive satellite broadcasts, you must have paid for receiving satellite broadcasts. We recommend buying a set-top box compatible with DVB-S2. 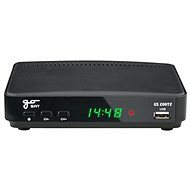 CI + - To watch many satellite channels you need a CI + module. 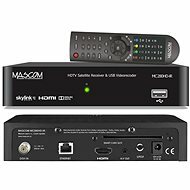 CI + module, insert the subscription card, you can rent this from a provider of satellite broadcasting channels. FastScan - The system used for fast automatic tuning programs on the satellite receiver. Program list updates and keeping up to date. DiSEqC - In combination with a motorised dish this will save you a lot of work. DiSEqC can automatically rotate the dish as needed and does not need to be rotated manually. 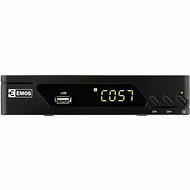 To receive digital cable broadcasts you must have your TV or set-top box with a DVB-C tuner. Cable broadcasting is subscribed through cable companies. IPTV is broadcast through the Internet network. IPTV is a popular format. The advantage of IPTV are their accessibility to archive programs. More expensive devices tend to have an operating system. It'll turn your regular TV into a Smart TV. Thanks to the operating system, you can install applications and extend the functions (games, youtube, tv programs and others). These functions need an Internet connection. 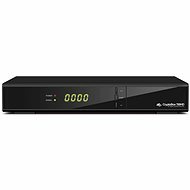 The dual tuner allows the viewer to watch one channel while you record another. Some set-top boxes have an uploading feature. More expensive models have a built-in hard disk, cheaper models generally record on an external memory that connect through the USB interface. For this purpose, we recommend using an external disk, as most flash drives does not have enough memory. With the time shift function, you can flick between channels, but when you come back to the original channel you continue the same show from where you left off before. If you enable the feature before broadcasting the show, you can even skip commercials. 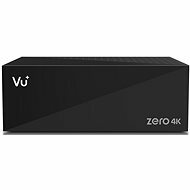 This feature is supported only on set-top boxes equipped with a hard disk or memory, and the ability to connect via USB. Combination of digital broadcast with an Internet connection. Usually triggered by pressing the red button on the remote control. 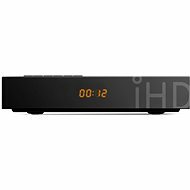 HbbTV-compatible set-top boxes allow you to install applications. Applications may be, for example, an archive of programs, which means you do not need to record programs, but you drop them directly from the archive. 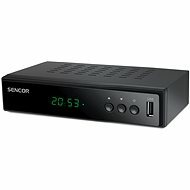 How to connect the set-top box to the TV? 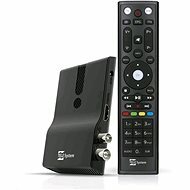 Set-top box connected to the TV through an HDMI cable. 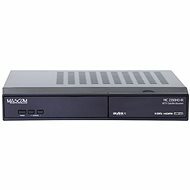 If you do not have the TV HDMI connector, there are models that can connect via SCART. 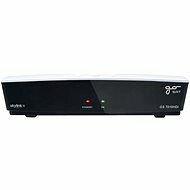 Set-top box must be connected to the mains and connect the cable to terrestrial or satellite broadcast. As the age of analogue television is coming to a close, TV broadcasts are increasingly switching to digital (DVB-T, DVB-T2) or satellite transmission (DVB-S or modern DVB-S2). 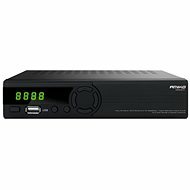 For terrestrial broadcasting, the only thing you need is a suitable set-top box; satellite broadcasts require a satellite receiver. The advantage of satellite reception is superior sound and picture quality, better accessibility, and a wider channel selection. 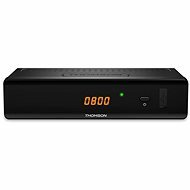 You can choose from a number of set-top-boxes and satellite receivers from such manufacturers as Zircon, EVOLVEO, SENCOR, Amiko, and others. 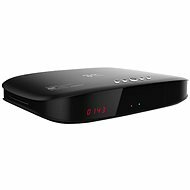 A set-top box is a device that lets you receive digital terrestrial television via DVB-T transmitters. 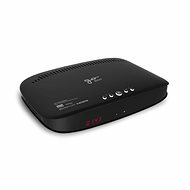 You hook it up between your TV and antenna and it's suitable for people who don’t necessarily require a wide range of TV channels. 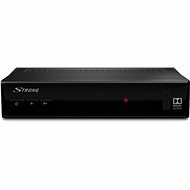 Set-top boxes are also generally cheaper than satellite receivers. If you want to watch foreign programs, then choosing the right satellite receiver can give you access to a myriad of channels of all genres, all of which are distributed by satellite broadcasting. You need a satellite receiver if you want to receive satellite stations and broadcasts and your TV isn’t equipped with a satellite tuner, i.e. 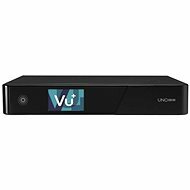 DVB-S or DVB-S2. When the transmitted signal reaches the antenna, it is processed in the satellite receiver. 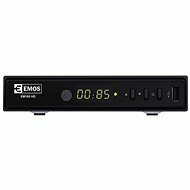 The receiver then relays the signal to the TV; a satellite set generally has MPEG-2 support or MPEG-4 support for better image quality in high definition. 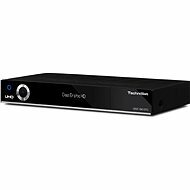 HD receivers offer excellent picture and sound quality and can be used as media centres for Internet services or playing content from external devices. You can buy a spare remote control for selected models.